Dr. Stacie Pettit published research in the Spring 2014 edition of “Sunshine State TESOL Journal.” The paper is called “Middle School Mathematics Teachers’ Beliefs about ELLs in Mainstream Classrooms.” Click here to read the article, which begins on page 25. 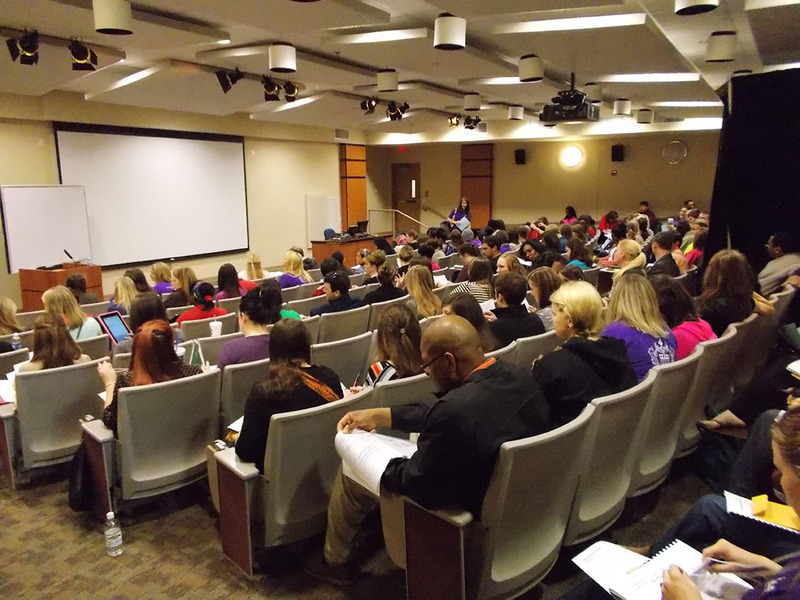 The department will host the 16th Annual Impacting Student Learning Conference on March 22 from 8 a.m. to 3 p.m. in University Hall. The conference will offer practical strategies for enhancing P-12 learning. Topics include – but are not limited to – Common Core, assessment, classroom management, bullying, RTI, inclusion, content-based learning, and stress management. Georgia’s Teacher of the Year, Jemelleh Coes, will give the keynote address. Registration is free to all GRU faculty and students, and all faculty in our Partner Network School Districts. Lunch is $7. Registration for others is $50, and includes lunch. Click here to register. Click here for the proposal form. Proposals due by Feb. 27. Contact Judi Wilson at jwilson24@gru.edu. The edTPA Faculty Resource site is up and running. Information is available on academic language, providing feedback to students, modifications, frequently asked questions, and more. For more information, contact gruedtpaga@gmail.com. The student members of the Council for Exceptional Children are selling Waffle House coupon books to raise money to attend the annual state conference. They will attend seminars and present their own research. Email Dr. Kathy Hogan to purchase a book.